Keeping the relationship ! 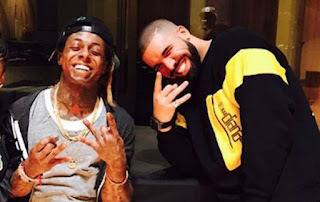 Last time fans wonder why Drake is missing on Lil Wayne album after the landmark album welcome parallel artist as those who contributed on Tha Carter V project. We thought Drake and Lil Wayne are hitting some nails on each other though things where made clear that bought are still intact. As they keep maintaining the Young Money records, Lil Wayne has electrify his portage Drake, through a Chain which worth about $25k. Is a jeweling hand-craft by one of the popular art. jeweler Eliantte. It was unveiled but not directly from Drake but jeweler Eliantte took to his social account Instagram and present it to his follow with a caption “@liltunechi Gift To @champagnepapi Custom 6 Charm #ShouldaWentToElliot.”. 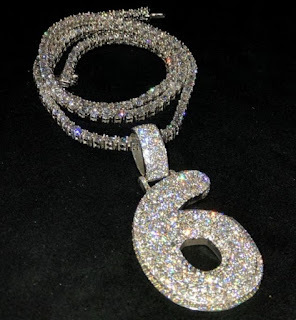 We are told that the 6 Chain get to work after Lil Wayne pay off $250K to Eliantte which feature white diamond and white gold. Lil Wayne already know what Drake needs and what his in Toronto called him. The symbol 6 is Drake most liked figure and his close friends knows that. The Chain is the first gift from Lil Wayne that work such dollar. Well, you shouldn't ask why Lil Wayne buys Drake a Chain after seeing their endless and long term relationship over the past years. Darke has mad Young Money more prestigious record label in the glob. At least his last albums has earn the label a lot of money yet the friendship keep growing unlike when Birdman and Lil Wayne battle and seeing themselves as foes. Ask some fans they will tell you Drake, Nicki Minaj and Lil Wayne are the rock holding the YM REC.